Why use adjustable height workstations? When your staff spend hours at workstations every day, even the smallest features of your work space. Such as the position of your monitor or materials can greatly affect productivity and even health. Workspace does not have to wear you down every day, but not having correct working heights, untidy worktops, and poor lighting and worker position. These things to name but a few, have a direct impact on productivity and employee health. With a few adjustments, it is possible to improve the working environment and get more product out of the door. More companies are equipping with ergonomic workstations and automation to enable employees to work comfortably and effectively, with less risk of injury to the body. 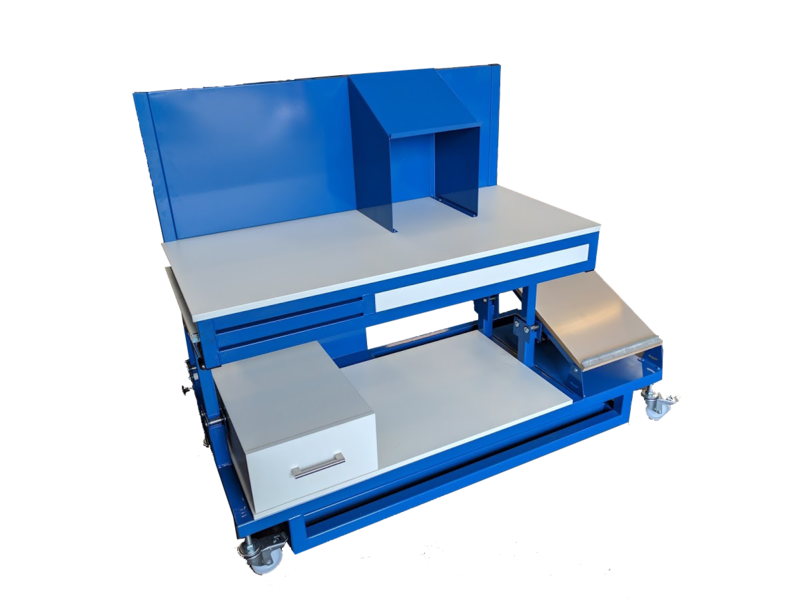 Ergonomic workstations can be built from a basic manual workbench through to a fully bespoke height adjustable workstation, designed specifically for your individual application, to maximise returns and improve employee environment. 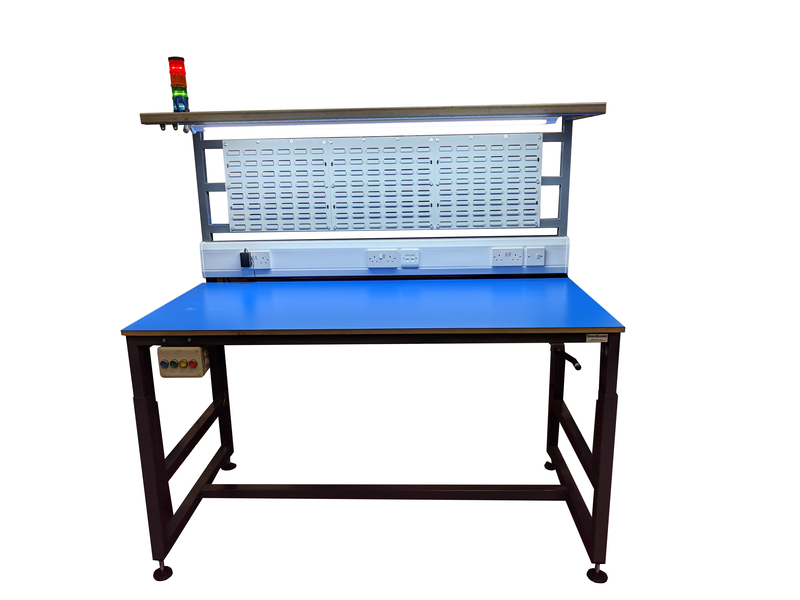 Available with both manual and electrical operation. 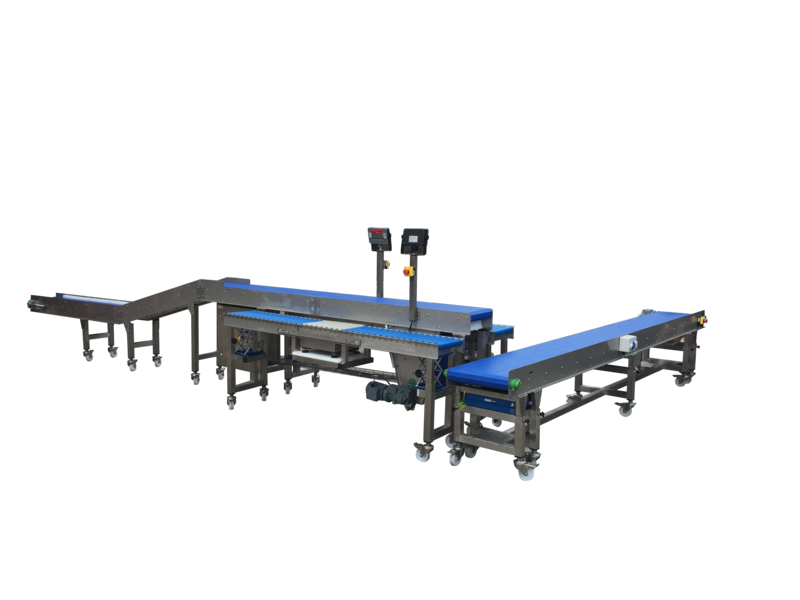 Automated manual pack conveyor lines, which are height adjustable, dependent on operator and or process / product. With the integration of weighing scales into conveyor equipment which is easy to set up and adjust. Ensuring gains in both productivity and ergonomic positioning through adaptive working working environments.